Waterway boats are not for everybody. Some folks just do not have space, cash or passion that’s required of a full-size boat. You may want to consider the jet ski, or for the sake of right terminology, “personal watercraft.” Who do we have to thank for these mini boats? Happy you asked. Clayton Jacobsen is widely given the credit for the invention of the jet ski due to his major role in the development of Kawasaki’s line in the early ’70s. As Kawasaki revved up production of both stand-up and sit down models, other business like Yamaha jumped on board, providing waterway and lake lovers a huge option of a motorized way to enjoy the water without a boat. Fast forward to today and it appears that most of the personal watercraft out on the waterway are the size of a boat, with some easily seating three full grown adults. Nevertheless, that does not mean everyone’s rockin’ a new ski. No matter what your budget plan, taste or ability level is, there’s a ski to fit your budget. STAND UPS: This style is referred to as a “stand up jet ski”, where the rider uses the personal watercraft standing up. The stand-up styles are built for one rider and are designed for racing, doing tricks or used in competition. These skis supply a platform for riders to stand on when they get up to speed, with tall handles and has a lot of abilities. Although I instantly associate stand-ups with old-fashioned riding, they’re also extensively used for competition riding and unbelievable stunts. SIT DOWNS: Sit down skis are far more popular in today’s marketplace amongst individual watercraft lovers. Readily available in 2, 3, or 4 individual designs. The price range on brand-new, big personal watercraft can reach into the $10,000 range. Nevertheless, if you like fast turns in the water and lots of wind in your face, they’re an enjoyable financial investment. 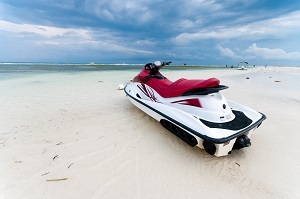 Most Myrtle Beach jet skis have engines capable of reaching high speeds between 15 mph and 60 mph. The motor is what determines how fast a personal watercraft will go. At Action Water Sportz, our jet skis will seat three individuals depending on their size. Always be aware that jet skis are considered personal watercraft and are subject to National Coast Guard standards just like any other type of boat. Make sure to follow marine instructions and be conscious of other water traffic in order to enjoy this thrilling water activity safely. No need to purchase a jet ski for summer fun – Action Water Sportz has Myrtle Beach Jet Skis to rent by the half-hour, hour or take our two-hour dolphin cruise. Call us today to reserve your ski. Your family will be ecstatic.